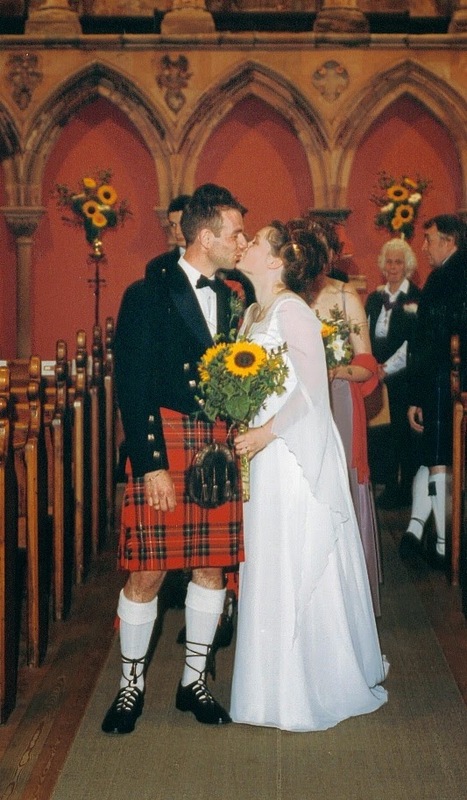 Yesterday was my 13th wedding anniversary. Oops, our 13th wedding anniversary. Definitely one of those must remember g things. It all only seems like last week. Not just the wedding, the whole marriage. How can it be 13 years? But look, we haven't changed a bit. Well if the lighting is really complimentary and you ignore the fact that my hair has miraculously turned blonde. The best bit about celebrating our anniversaries is looking back and trying to decipher why we work. We have nothing in common. No seriously nothing! G is sporty and active, it's clear I'm part sloth. I'm a bookworm, g very rarely reads. He is an incredibly fussy eater, I'm a foodie. I'm a night owl, g's a morning person. He's a saver, I'm a scatter cash. I could continue. It doesn't matter. We might never agree on a mutually acceptable breakfast or bedtime but we work. He is the yang to my yin and I'm looking forward to continuing the search for something we have in common.